"Perfect waterfront getaway with plenty of room for family. This beautiful log cabin style home has recently been redone and lifted. 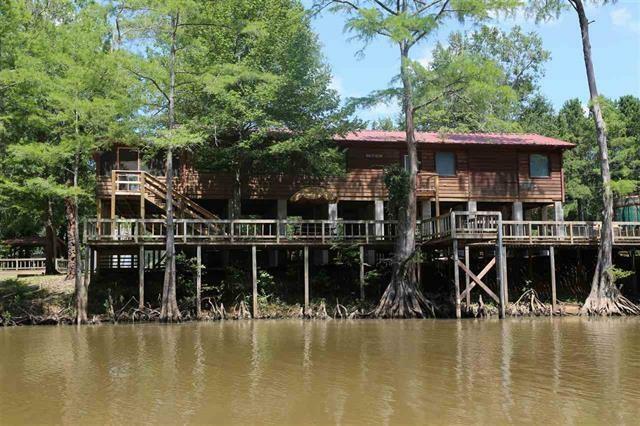 From the moment you step into the charming screened in porch you will know this home is made for family get togethers on one of a kind Caddo Lake. Spacious living area, large pantry and laundry room, fireplace, decks and balconies galore, this is one you need to see. Located in a gated community and comes with a boat ramp and even a cove with a floating dock for boa"